The past few weeks have seen extraordinary political upheavel and social unrest in North Africa. 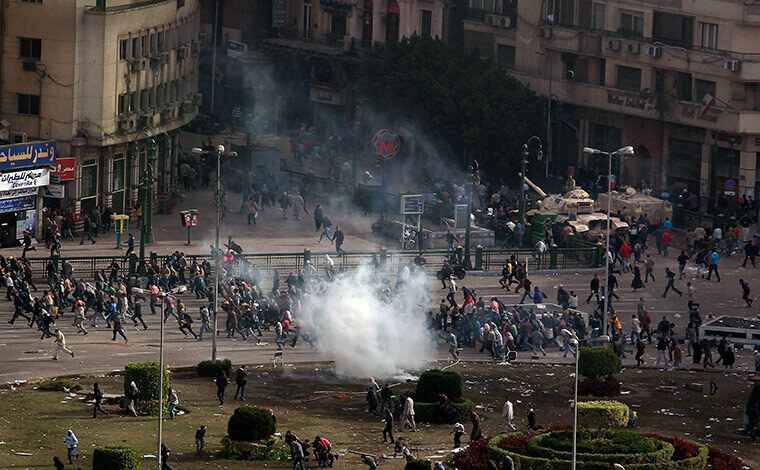 The protests that originally started in Tunisia now seem to be engulfing Egypt. Like many people I’ve been glued to the rolling coverage on Al-Jazeera English with its footage shot from the window of the TV station’s Cairo office. The streets are full of men shouting for the downfall of President Mubarak. But how are Egyptian women making their feelings known? Prominent writer Ahdaf Soueif published an article in The Guardian, a UK newspaper, on Thursday 27th January about the popular uprising. It would be good to hear how other Egyptian women who are participating in or writing about these momentous events. I have a sense of hope but feel uncertain about whatn the future holds. Will whatever happens this weekend lead to real and lasting changes in Egyptian society and in other countries in the region? Will the gender oppression against which writers like Nawal el Saadawi rail so vociferously actually be broken down?